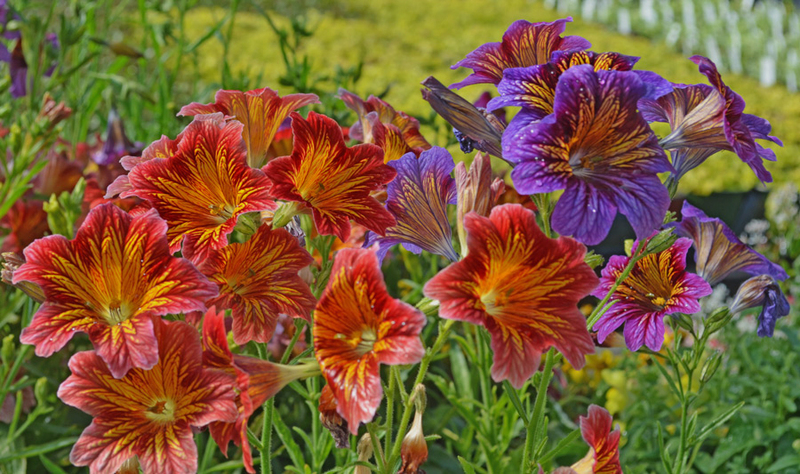 Salpiglossis are beautiful annuals native to Chile. They are commonly known as “Painted Tongue” for obvious reasons. Each plant produces beautiful, open-faced blooms possessing rich jewel-toned colours and vivid, contrasting veins. These upright growers are best in areas with moderate summers, full sun and fertile soil. These annuals look fantastic in the centre of garden beds and containers, and surrounded by low-growing that cover their untidy feet. Deadheading spent blooms will optimize flowering. 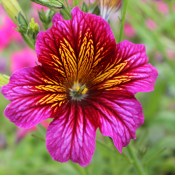 Salpiglossis also make excellent cut flowers.